The value of Bahrain’s national origin exports increased by five per cent as it reached BD177 million ($465 million) during February versus BD169 million for the same month of the previous year, said the Information & eGovernment Authority (iGA). The top 10 countries account for 85 per cent of the exported national origin value and 15 per cent for other countries. 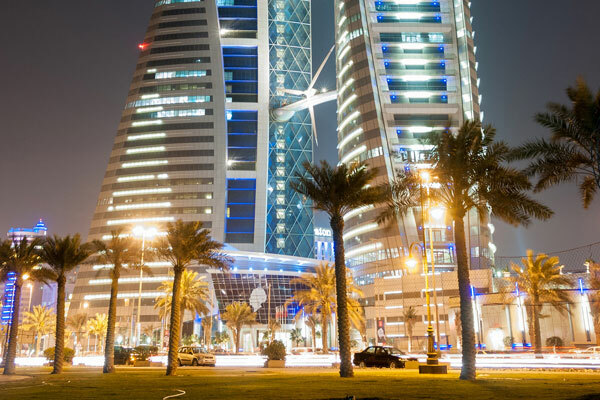 Saudi Arabia was ranked as the first country importing from Bahrain with BD44 million, United Arab Emirates second with BD25 million and the US comes in third place with BD25 million. As for national export products, agglomerated iron ores and concentrates emerged as the top products exported in February of 2019 with BD24 million; aluminium wires were positioned second products exported with a value of BD20 million; and rectangular alloyed aluminium plates stood third place for exported products with BD12 million. In regards to the re-exported field, the value of re-exports increased by 78 per cent as it reached BD71 million during February of 2019 versus BD40 million for the same month of the previous year. The top 10 countries account for 82 per cent of the re-exported value and 18 per cent for other countries. KSA is ranked as the first country to re-export from Bahrain with BD17 million, UAE is ranked as the second with BD11 Million and Italy as the third with BD9 Million. Part for piston engines emerged as the top product re-exported from Bahrain with BD16 million, four-wheel drive cars came as second products with BD7 million and cigarettes containing tobacco came as the third with BD4 million. The trade balance, difference between exports and imports, the value of the deficit of the trade balance reached BD102 million during February of 2019 versus BD232 million for the same month of the previous year with a decrease of 56 per cent. The value of imports decreased by 20 per cent as it reached BD350 million during February of 2019 versus BD440 million for the same month of the previous year; while the top 10 countries account for 66 per cent of the imports value and 34 per cent for other countries. According to the report, China is ranked as the first country to exports to Bahrain with BD54 million; Australia as second with BD43 million whereas India ranked third with BD24 million.